Why do crumpets have holes in them, anyway? We ruddy love crumpets. But have you ever stopped to think why they have those holes in them? They're not they're because a baker pokes a stick at them so that we can enjoy the melted butter, before you ask. 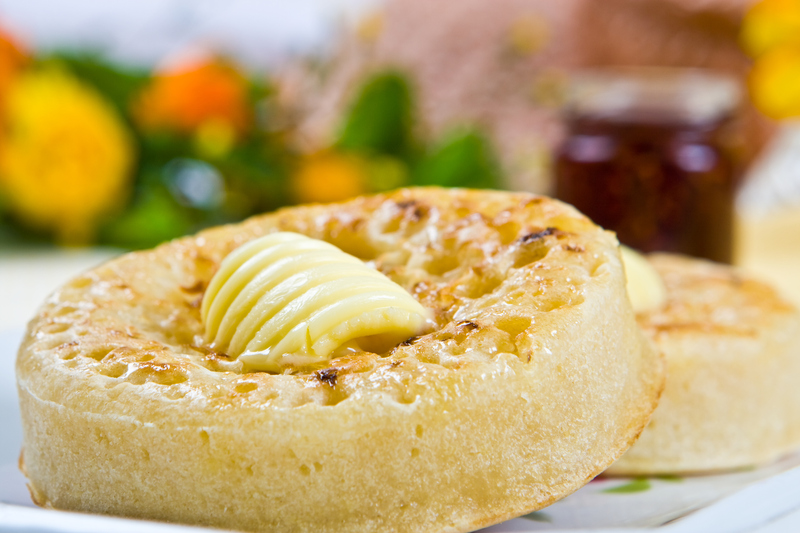 Earlier this week, Channel 4 series Food Unwrapped explained that crumpets have holes in them because of the formation of bubbles during the fermentation process. During a visit to the Warburtons factory in north London, presenter Kate Quilton found that a crumpet’s bubbles form when the dough is left to ferment and prove in a warm place for several hours, usually at around 40 degrees celsius. IMPORTANT: How do you cut your toast? Warburtons weren't allowed to reveal exactly how long their crumpets are left to prove, but a couple of hours is apparently about right. The crumpets are then cooked on individual hot plates, allowing the bubbles to expand further. Steam from the plate shoots up through the batter, which pushes the bubbles to the surface and creates the holes. "The heat of the hot plate [causes] the bubbles to expand, and the steam generated behind it pushes the bubbles up through the batter," the manufacturing manager said. "What you get is a chimney effect. Steam pushing the bubbles up causes the flutes which makes the holes in your crumpet." Well, we've definitely learned something today! Now, pass the butter. When is Easter 2019, Good Friday and Easter Monday in the UK?